Tiers Designer Cakes brings personal touch to every special event. Jessica takes the time to get to know you as the client to make sure that your cake truly reflects your personal style. 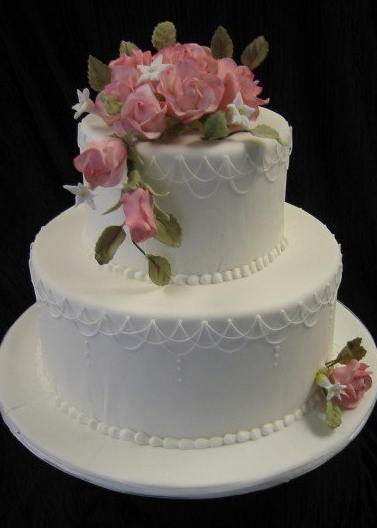 The use of fondant gives each of her cakes a clean look that can be decorated using many different techniques; realistic gumpaste flowers and decorative piping being some of her specialties. She also uses fresh ingredients and bakes all cakes to order to make sure that you get the highest quality cake that you deserve. With all the detail that goes into each and every cake, advanced notice is highly recommended to reserve your date.